The festival that celebrated peace, love, & music, Woodstock Festival. 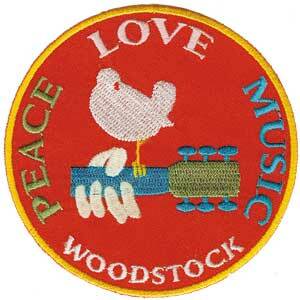 This embroidered Woodstock patch measures approximately 3" round and can be ironed or sewn on your favorite jacket, purse, shirts, etc. Officially licensed Woodstock merchandise.